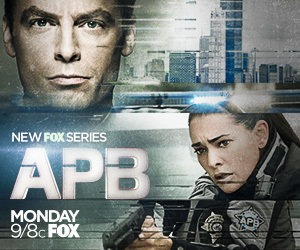 “APB” airs on FOX’s Mondays at 9 p.m.
Watch more interviews and subscribe to YouTube.com/Thisfunktional. Police work isn’t rocket science. It’s harder. Sky-high crime, officer-involved shootings, cover-ups and corruption: the over-extended and under-funded Chicago Police Department is spiraling out of control. Enter billionaire engineer GIDEON REEVES (Emmy Award and Golden Globe nominee Justin Kirk, “Tyrant,” “Weeds”). After he witnesses his best friend’s murder, he takes charge of Chicago’s troubled 13th District and reboots it as a technically innovative police force, challenging the district to rethink everything about the way they fight crime.